Gourmet flavors guaranteed to inspire. 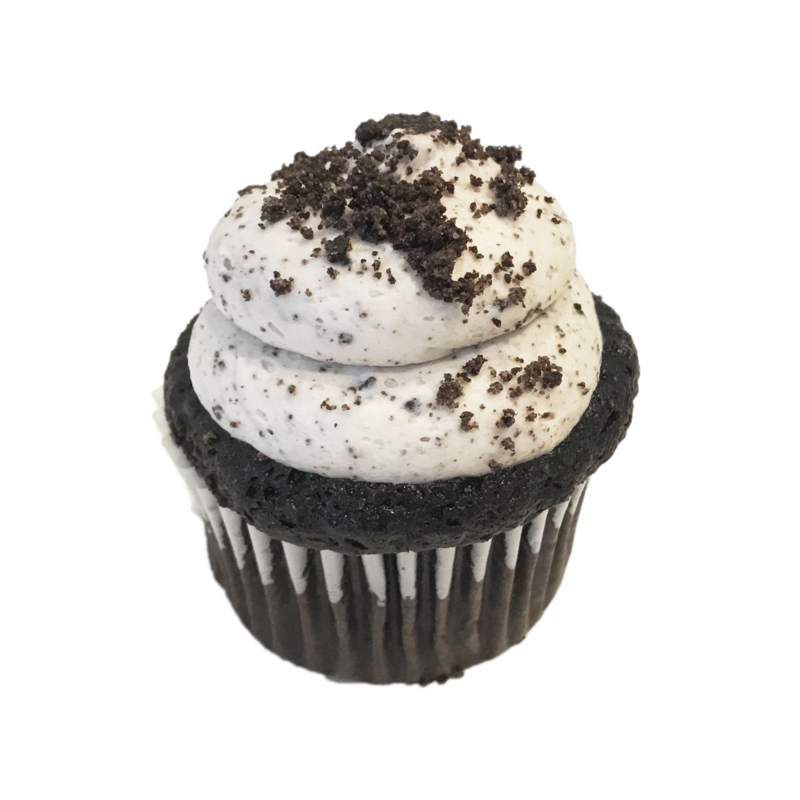 Our naturally gluten-free flavors are infused with creativity and guaranteed to be beautiful, mouth-water works of art! 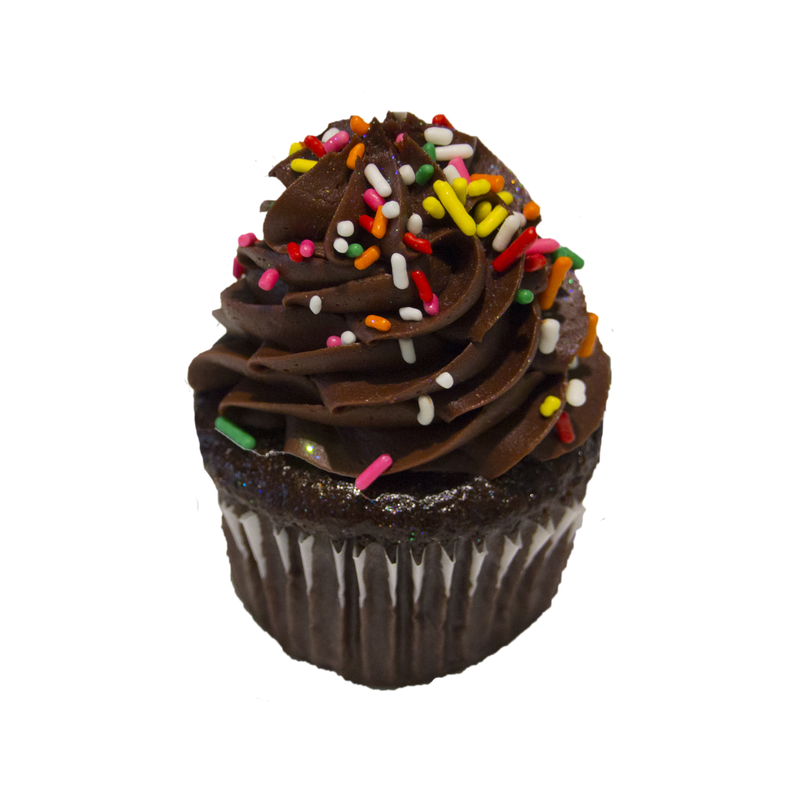 A moist chocolate cupcake with frosting made from crushed-up chocolate sandwich cookies. 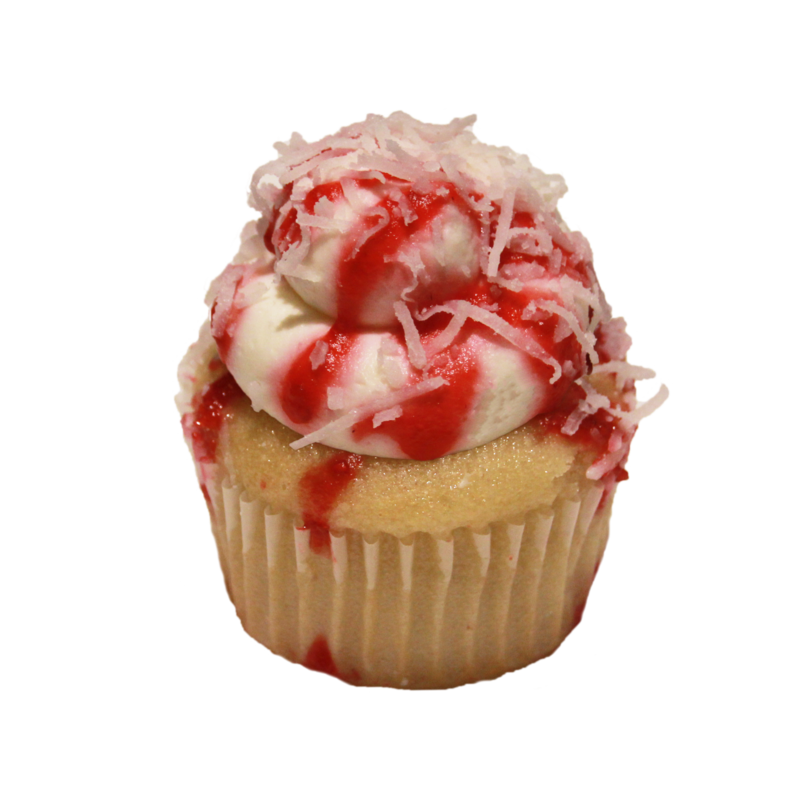 A coconut cupcake with raspberry filling, coconut whipped cream cheese frosting, topped with coconut, and a raspberry drizzle. A vanilla cupcake with chocolate buttercream and sprinkles. 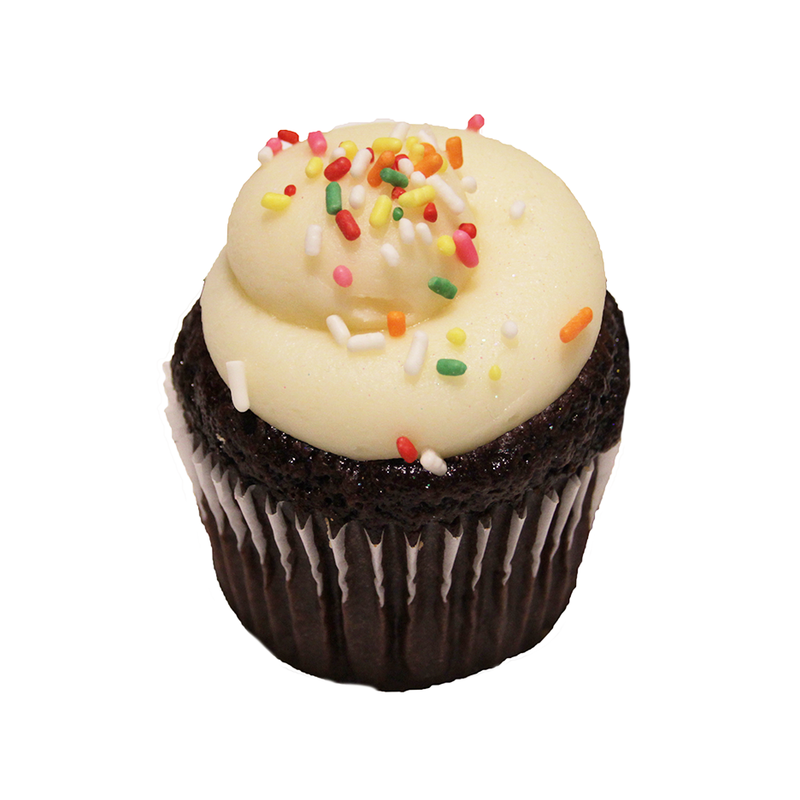 A chocolate cupcake with vanilla buttercream and sprinkles. 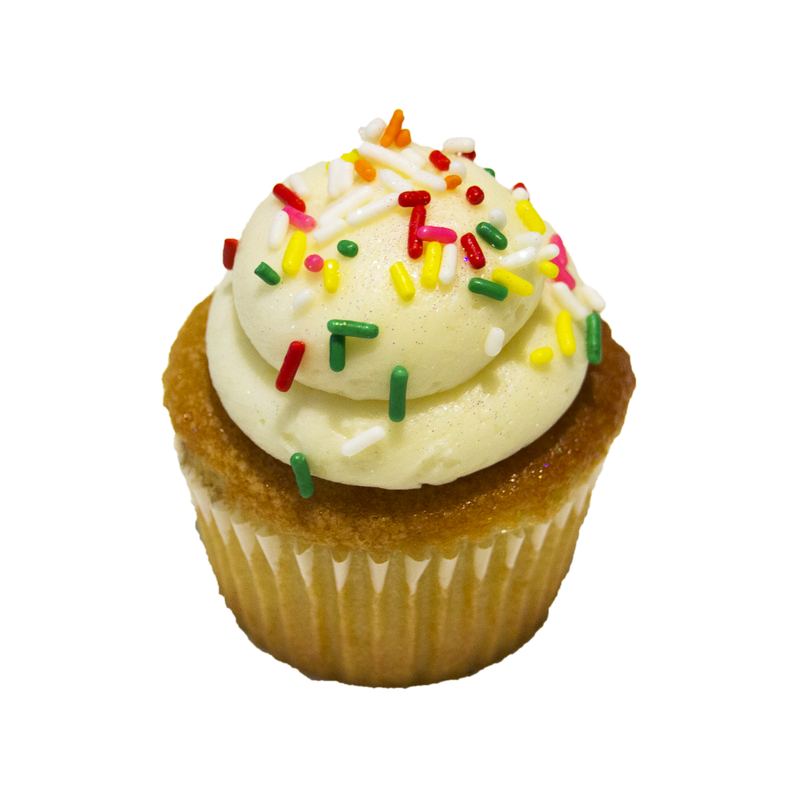 A vanilla cupcake with vanilla buttercream and sprinkles. 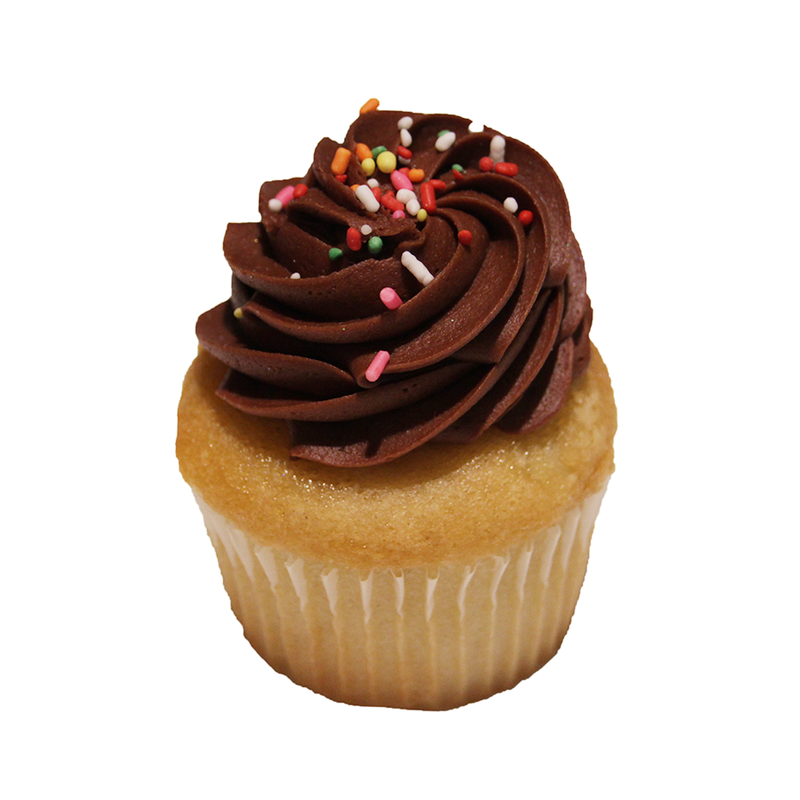 A chocolate cupcake with chocolate buttercream and sprinkles. 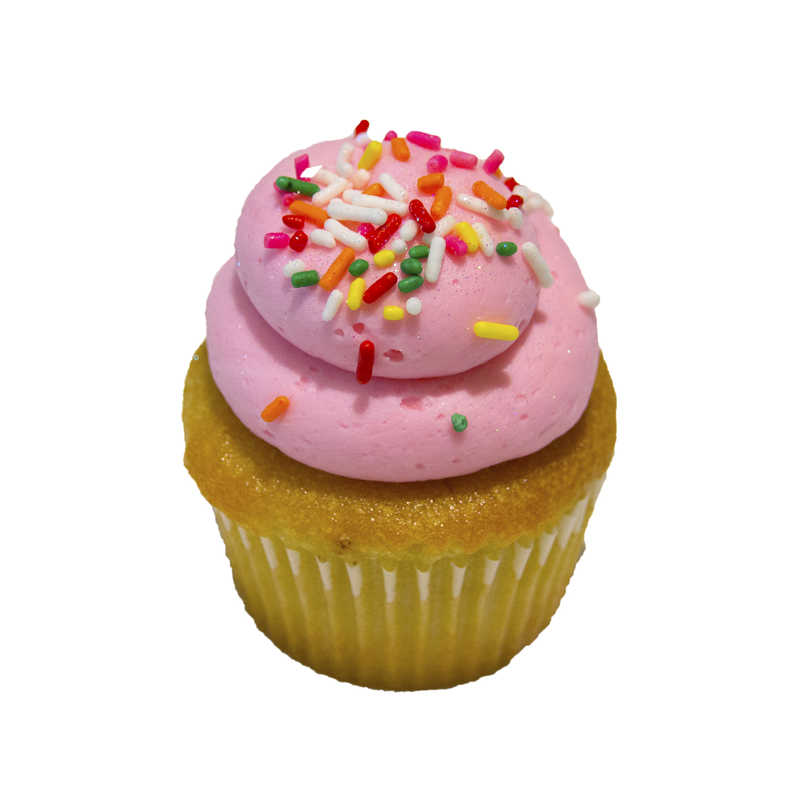 A vanilla cupcake with strawberry buttercream and sprinkles. 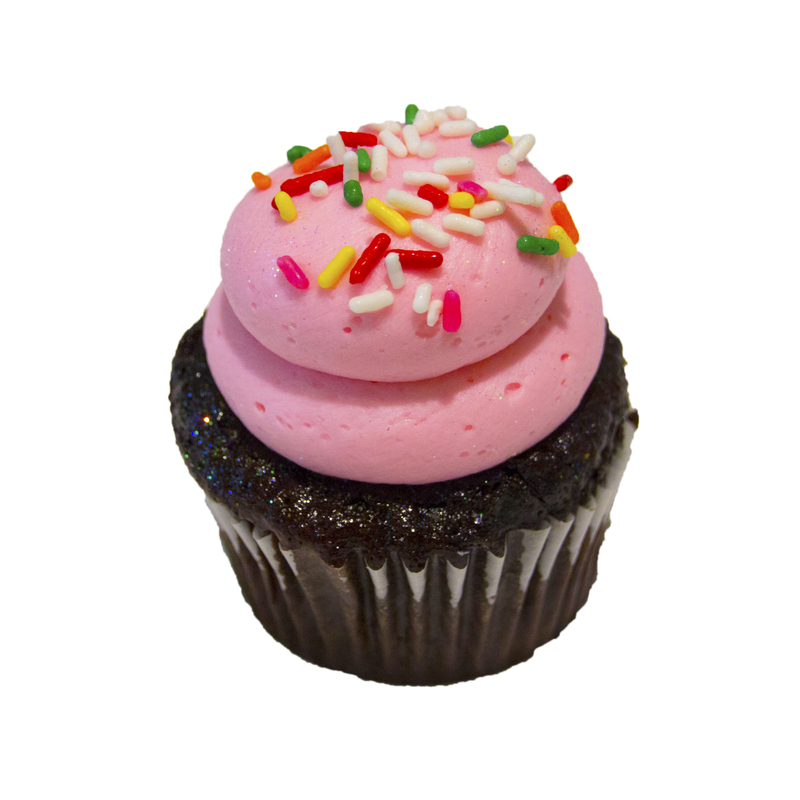 A chocolate cupcake with strawberry buttercream and sprinkles.